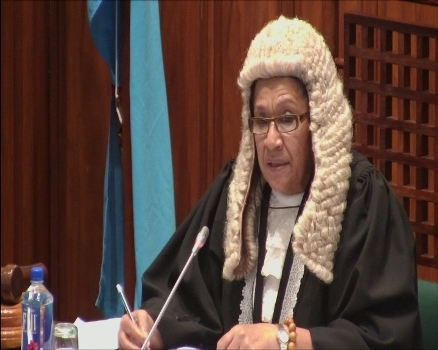 Speaker of Parliament Dr Jiko Luveni has ruled against allegations made by Opposition MP Semesa Karavaki that the Attorney General had misled the House during its last sitting. On May 21st, Karavaki had raised a point of order alleging that the AG deliberately misled the House when answering questions the previous day, 20th May. The question asked was – in the absence of the FICAC Commissioner, who does the Deputy Commissioner report to and which Ministry does FICAC come under? The AG replied that under the Constitution, the Deputy Commissioner reports to the President. After going through the documents, Dr Luveni says there is nothing there to support Karavaki’s view. She ruled that the AG has not deliberately mid-led the House and will not refer the case to the Privilege Committee.